Being an employee of the Food Bank of Central & Eastern North Carolina (FBCENC), you may wonder why I spent a week fighting hunger in Jacksonville, FL. Part of being a member of the Feeding America network, is banding together to help our sister food banks when disaster strikes. My experience in Jacksonville, FL was a memorable one. 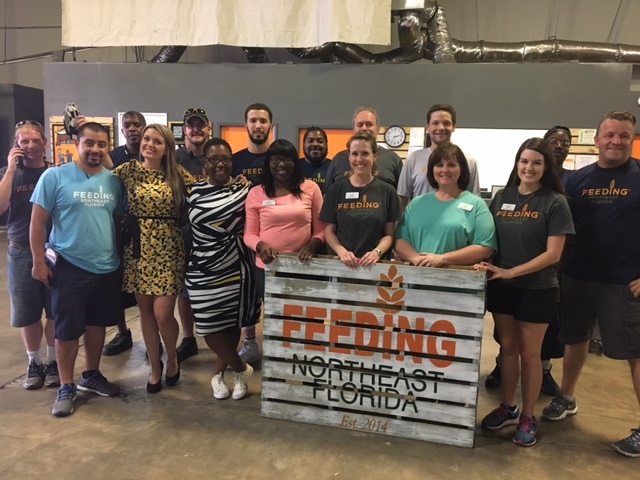 The staff at the Feeding Northeast Florida food bank were wonderful, and my newfound roommates from across the Feeding America network were just as amazing. Feeding America set us up in a local Airbnb, just a short drive from the FNEFL facility. Joining me in the house was Sam Vasos, a driver from the Harvesters food bank in Kansas City, Racine Droz, the Associate Director of Food Sourcing and Donor Relations from City Harvest in New York City, and of course FBCENC’s own fearless driver, Kevin Hernandez. Getting to know everyone has been an absolute blast, and it was wonderful to see such a large portion of our country’s food banks represented. Day-to-day, I worked with FNEFL’s Volunteer Services team: Kaci Honeycutt and Molly Sweet. 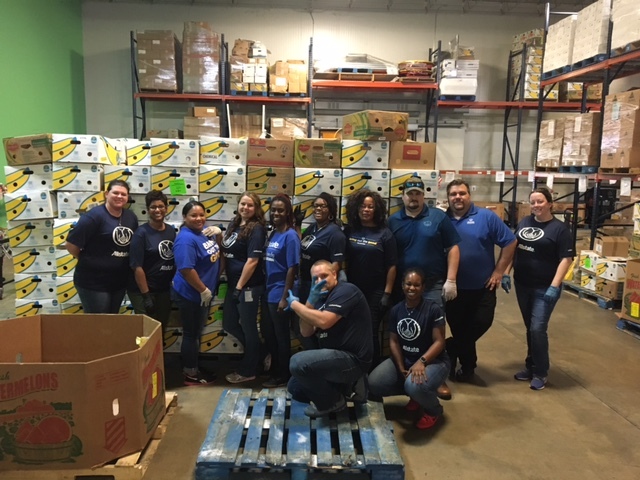 Our volunteers primarily sorted and organized goods for their Mobile Pantry, goods which went almost exclusively to disaster relief (FNEFL has distributed some 1-million pounds of disaster relief supplies just in the last month alone). Kaci and Molly make an amazing team as they alone have been handling the volunteer side of FNEFL’s disaster relief efforts. It’s been fun to compare programs and exchange ideas. 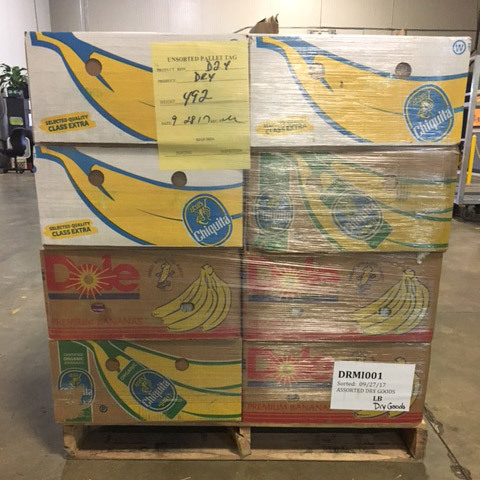 That’s the beauty in working with other food banks within the Feeding America network: our missions and overall goals are virtually synonymous. All of us “outsiders” were able to quickly and seamlessly just blend right in to the FNEFL culture. I’d say the pinnacle of this experience was the arrival of our truck from Raleigh: 42,000 pounds of disaster relief supplies collected in the Triangle area. It gives the whole relief effort a sense of scope. Disaster relief and recovery don’t just happen. It takes immense planning, coordination, and execution across state lines and usually with little time available. I can’t praise our Development, Food Drive, Communications, and Operations teams enough for their efforts in conjunction with local partners like WRAL. Aside from staff, it’s remarkable to see volunteers and contributors so generously and readily donate their time, supplies, and money to help others hundreds of miles away, people who they will likely never meet. Divisions and borders just seem to melt away while blind service takes place. Crises, as terrible as they are, have the habit of bringing out the very best in people. At the end of the day it’s folks like these, food banks, partner agencies, and similar organizations which really pave the long road to rebuilding. They, along with the victims with whom they work, help us remember exactly what it is we are rebuilding for: a world in which we are all in it together. Cliché? Maybe. But it’s nevertheless powerful stuff to witness. This week has really been an incredible experience, and I would like to thank FNEFL for warmly bringing us into their fold. They have a fantastic program. Our hearts go out to those in Texas, Florida, and now Puerto Rico, whose lives have been so drastically and terribly altered by these hurricanes. 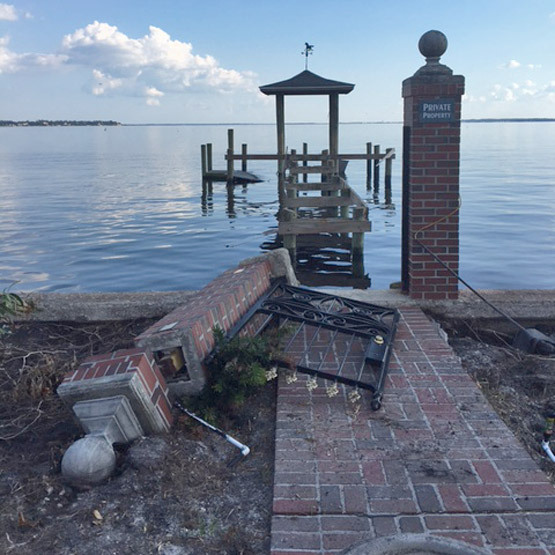 They can rest assured, however, that while national attention may wane, we at organizations like FBCENC and FNEFL fully understand the nature of long term recovery, and we won’t be going anywhere until the job’s done.